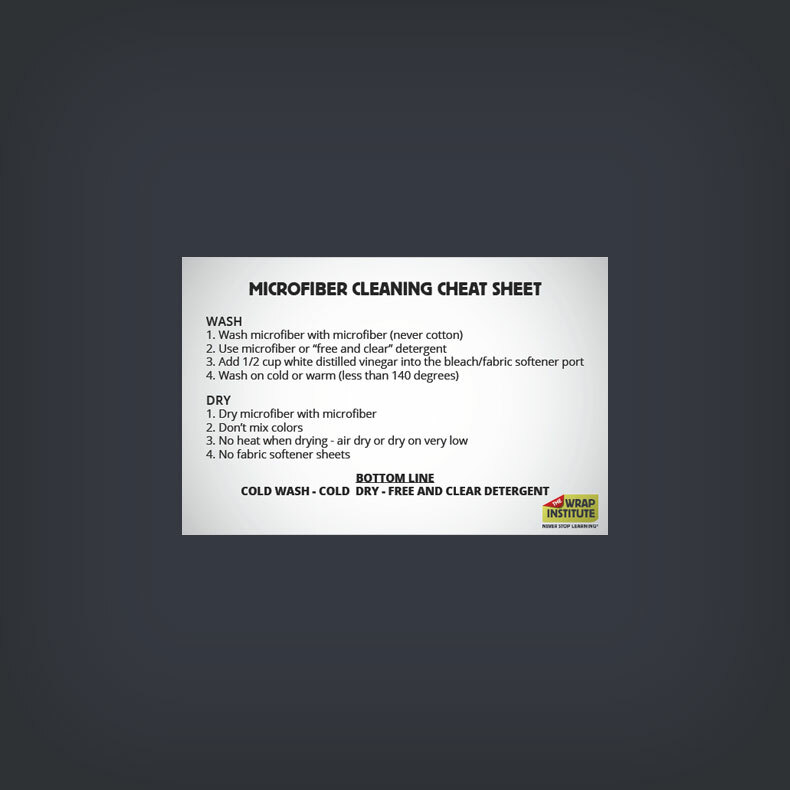 A half-page printout to keep near your washer/dryer station as a reminder of the do's and don'ts when it comes to microfiber care. Check out this video for the full lowdown on properly cleaning and maintaining your microfiber cloths. Special thanks to The Rag Company for providing this info.